Maine's U.S. senators say the federal government is giving a northern Maine health center a $2.2 million loan that will allow it to offer more services. Republican Sen. Susan Collins and independent Sen. Angus King say the loan is coming through the U.S. Department of Agriculture's Community Facilities Guaranteed Loan Program. 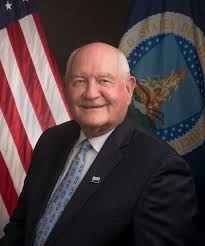 U.S. Agriculture Secretary Sonny Perdue earlier in the week announced the agency would give more than $1 billion to healthcare organizations in rural areas of 41 states. "USDA invests in a wide range of health care facilities—such as hospitals, clinics and treatment centers—to help ensure that rural residents have access to the same state-of-the art care available in urban and metropolitan areas," Perdue said. "I understand that building a prosperous rural America begins with healthy people. Ensuring that rural communities have access to quality medical care is a top priority for USDA." This year, the USDA invested in 97 rural health care projects that served 2.5 million people, according to a press release. In Ontario, Ohio, a $91 million USDA loan allowed Avita Health System to turn a vacant section of a shopping mall into a hospital. Among the services available are substance use disorder treatment and mental health services. The hospital, which opened in March 2017, has served more than 124,000 rural residents, according to the USDA. As a result of the USDA loan, the center in Maine will be able to build a 4,200-square-foot addition to provide space for optometry, behavioral counseling, dental services and other health services. The senators say the expansion will provide greater access to care in one of the more rural parts of the state.